“The title, ‘Mangelen Min’, roughly translates as ‘the thing missing in my life’, or ‘my lack’ ”, says the band’s singer, co-composer and lyricist Mari Kvien Brunvoll. “Mangelen Min is the presence of what is missing or no longer there, as if there is a body of sorrow following you around. Like a companion creature made up of all the longing inside a person. Mangelen Min is your alien-like shadow friend”, Mari says. 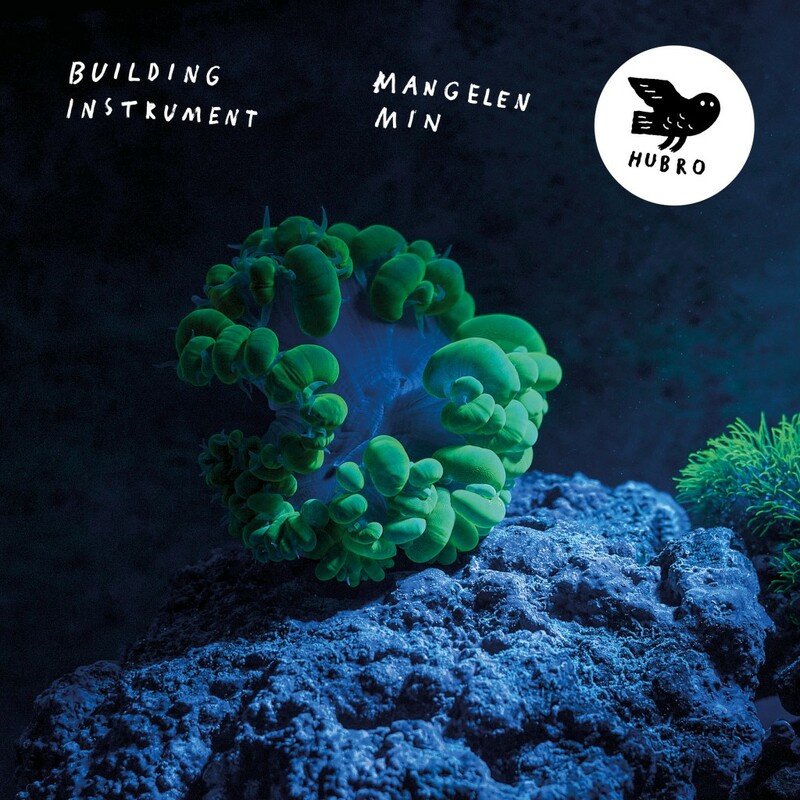 As on the two previous albums, ‘Mangelen Min’ comprises a mixture of real-time playing on a wide range of instruments, and live sampling and electronic processing. The final product is stitched together from the materials available to form a seamless musical tapestry that feels distinctively hand-crafted. This humble, hand-made aesthetic fits the band like a glove, and connects them to a kind of international informal movement of artists working with advanced technology yet retaining a home-made style and ethos that can feel more analogue than digital, more human than machine. The same feeling can be detected in the beautiful animated film created by the Dutch video artist Simone Hooymans for the track ‘Rett Ned’ from Building Instrument’s second Hubro album, ‘Kem Som Kan Å Leve’. The sense of a home-made craft aesthetic is also reinforced by the band’s choice of unusual sound sources and the organic-seeming way they structure them through intricate layering to form each track, “We employed everything from Hardanger fiddle samples, vibraphone, sampled wind instruments and whistles in addition to our customary resources of song, drums and synthesisers”, continues Brunvoll, whose striking, multi-octave voice is so adaptable that it becomes yet another instrumental tool. But whatever the instrument, and whatever the musical context or point of reference, whether the contemporary Caribbean or the court music of eighteenth century Versailles – both of which get a knowing nod in ‘Mangelen Min’ – Building Instrument emphatically sound like no one but themselves.